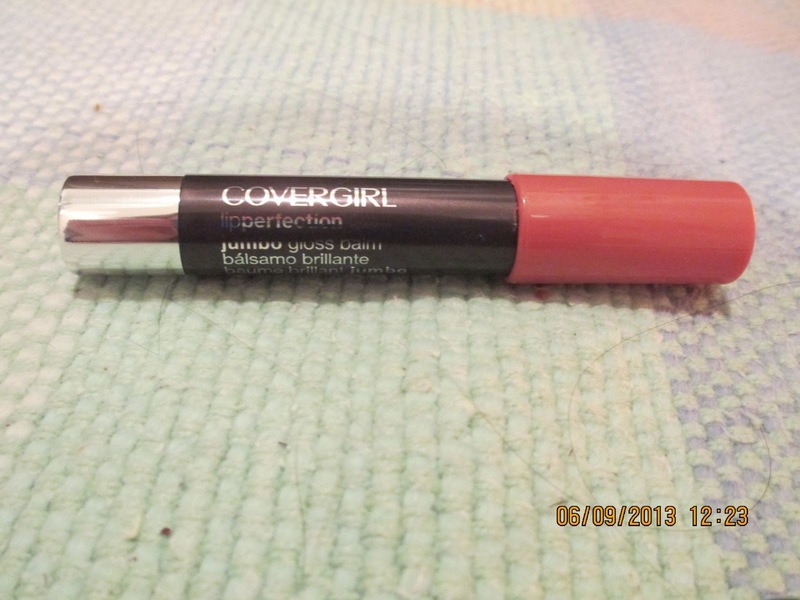 In my post on the covergirl jumbo gloss balm, I mentioned that this was a similar product. It is indeed a similar product, and I have to say I kinda like it better. It is only $2 and available online, at Target, and Walmart. I have the color pink umbrellas. The packaging is almost exactly the same as the Covergirl one. Its in a twist up tube, but the nice thing about this is that it has a clear cap. Here is a simple swatch on my hand, it is a little less orangey and a little more pink. Recommend? Maybe. They are not very long lasting, so I will probably not purchase more myself. But they do provide that glossy look with a tint of color. I would also like to mention they smell strongly of mint. They are not sticky, and do not get into the spaces in the lips. So as everyone knows the jumbo balm/gloss things are very popular in almost every makeup brand. I bought one from the cheap brand elf and loved it but it didn't last long so I wanted another one from a different brand. Randomly I chose the Covergirl one. Packaging is similar to other brands, this one twists up. 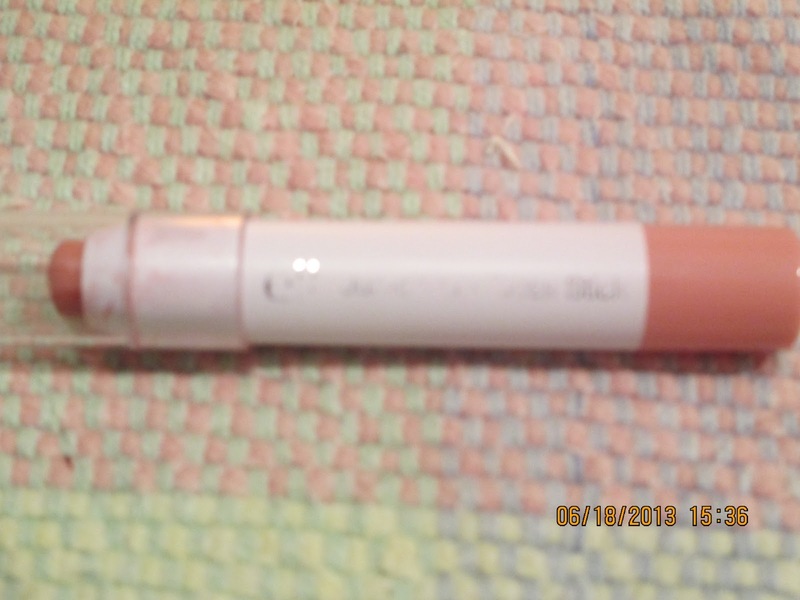 I bought the one in the color 3011/210/ I think its called Blush Twist. Its a nice light pink that makes my lips just look a little smother. I love the color, but not so much the product. It went on glossy on my hand but not on my lips. Hello Everyone! 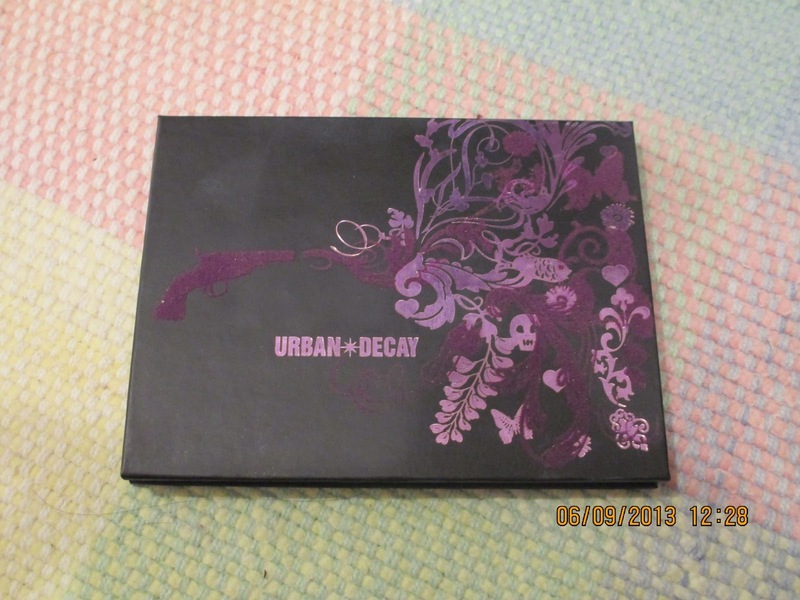 I have another Urban Decay post for you all! This is also currently on sale, or it was when I bought it on the Urban Decay website < Palette Here > for $15!! I know this is crazy, but it's because they made a new version with the new formula I believe. So into the review! The outside of the box is so cute, but honestly I was surprised by how tiny this palette was! The box is cardboard that bends all the way back, and the front has a velvety design! The inside has a nice mirror that comes with a little cover over it, so you don't end up with eyeshadow on the mirror (I left the seal on). And as you can see I have been using this palette a lot!! !Sorry it looks messy. 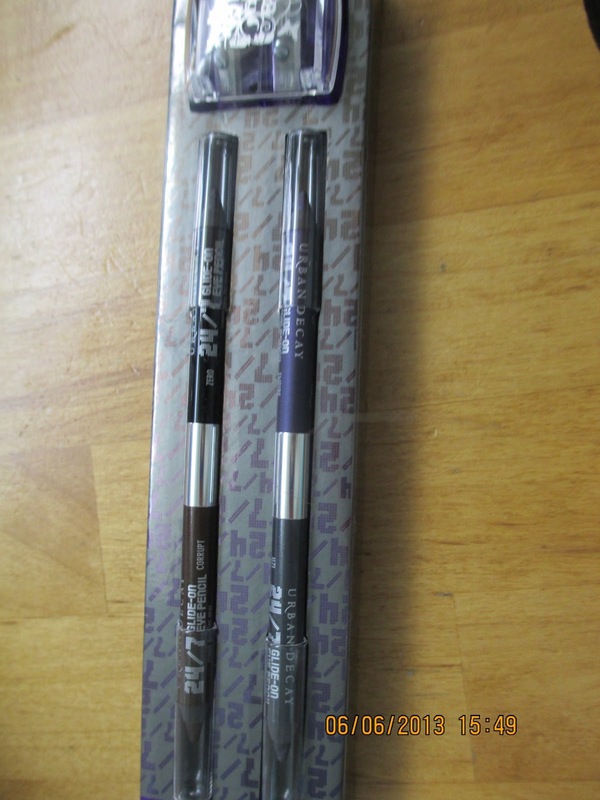 I have some exciting news for you today though, I recently purchased the Urban Decay Double Ended Eyeliner Pencil Set and Sharpener. At least I think that's what it's called. Anyway, this product is pretty darn good! Currently on Urbandecay.com , this set is available for $19! This blog doesn't just deal with "drugstore" type makeup, but high end makeup as well. Anyway I bet you all want swatches and my in depth review, so lets get on with it! Here is the product, just out of the clear box. It contains two doubled ended eyeliners, and the grind-house sharpener. The colors are Zero/ Corrupt AND Uzi/Empire!! Here is a quick photo of Grindhouse! I have not tried this yet but reviews on this are great.. Here are a few swatches of the colors.... First Empire, Uzi, Corrupt, and then Zero. Uzi- Very shimmery silver, surprisingly lovely eyeliner. I have recently gotten into the world of makeup! I find that beauty blogs are a helpful place to look for what kinds of things to purchase. Right now I am still in school, and that means I can't go out and spend hundreds on makeup, like some people can. 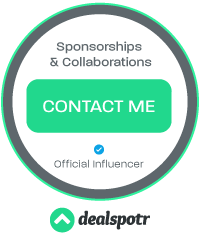 Starting today, I will welcome all who see my blog into the realm of makeup. I will show you swatches, hauls, ideas, looks, and who knows what else....Stay tuned for an amazing blog of makeup and beauty!